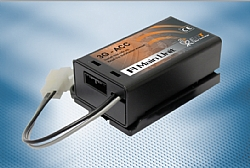 Professional fuel management to prevent unauthorized access to fuel supplies and fuel theft. WorldFleetLog gives fleet managers a fully integrated fleet management solution. E-Drive Technology serves the commercial fleet management market with a wide range of solutions since 1988, and constantly develops new fleet and fuel management solutions. At EDT we are committed to continually provide our clients with the most advanced vehicle telematics solutions. Over 4,000 loyal customers and 500,000 installations around the globe show atest to EDT's field-proven track record. EDT is a part of the Road Track group. With over 14 years of automotive OEM and aftermarket telematics experience, Road Track is the largest OEM telematics provider in Latin America and one of the fastest-growing service providers in the world. EDT's World Fleet app delivers mobile access on the go! Our latest release includes a new interface with enhanced features, and a great user experience. Now Supports Push Notifications. In addition to active intervention for over-speeding infractions, a record of defined events is preserved for in-vehicle download and printout, as well as reports generated by WorldFleetLog. EDT's Beverage Cooler Tracking and Management solution is deployed around the world. Use the ROI calculator to see how quickly EDT products and services can save you money! Contact us for technical inquiries and spare parts. Check out our FAQs, downloads & cost savings calculator!